I had the chance to attend the preview for the National Museum of Natural History today (on my birthday!). My friend Nyel and I trooped to Rizal Park early in the morning to be able to get in line for the preview, which is only limited to 200 visitors. The construction of the National Museum of Natural History started in 2015, in which the neo-classical Department of Tourism building, built in 1940, was repurposed to house the new museum. Only the courtyard and one floor of exhibit area was open. 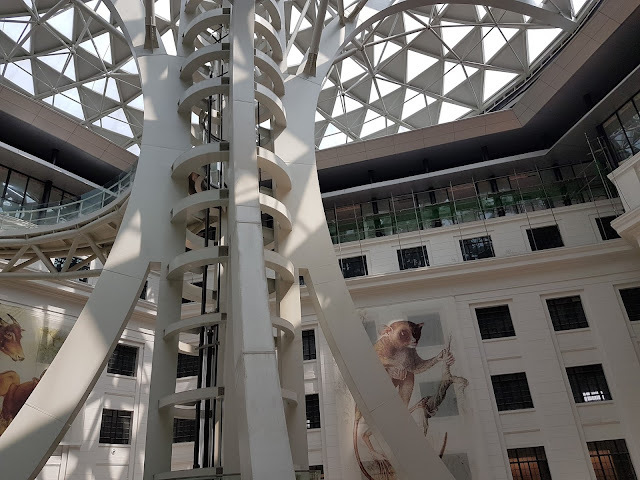 The courtyard is the one that I was most excited about, as it has as its centerpiece the architectural feature called The Tree of Life - a steel helix resembling DNA, housing a glass elevator. Above it is a glass mosaic dome that lets in natural light into the museum. Binge-watching on the pirate-themed Netfix series Black Sails made me remember I haven't blog about my trip to San Juan, Puerto Rico last year. The series follows the exploits of the buccaneers Captain Flint, and Long John Silver, along with pirates such as Charles Vane and Edward Teach. 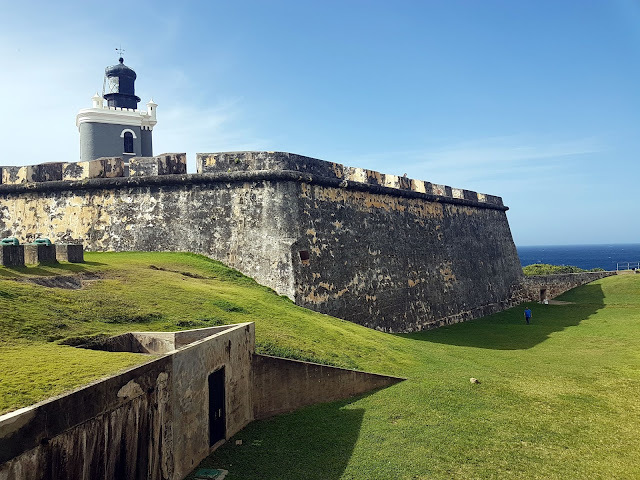 Although it was set in New Providence (Nassau), the Caribbean setting made me remember the fort that I visited in San Juan - the Castillo San Felipe del Morro.